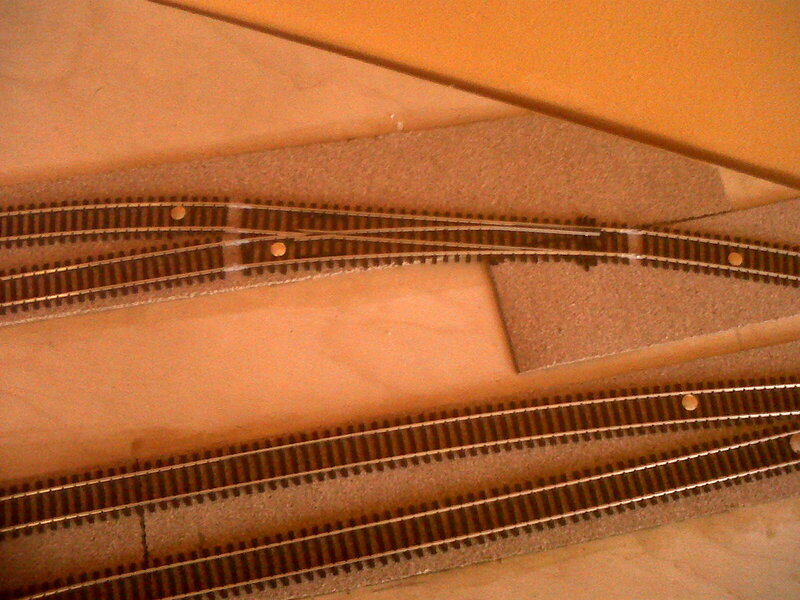 Quite accidentally, I find the layout of the track to be aesthetically pleasing. The various curves and branchings seem to be graceful and for the most part in parallel or at least in sympathy with each other. 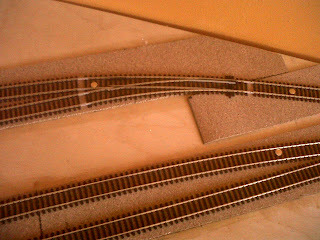 The exception to this has been yesterday's insertion of an additional siding. It seemed to introduce an awkward angle as opposed to smooth curve. The reason for this was that I used a set of points with a straight leg to them as opposed to a curved leg. 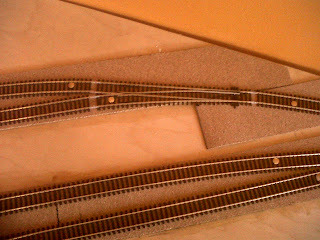 Straight points are fine when straight track is running parallel to an edge of the baseboard, but if you introduce a set of points into a curved section of track, the points themselves must also be curved - in my opinion. Not for functional reasons, but for aesthetic ones. 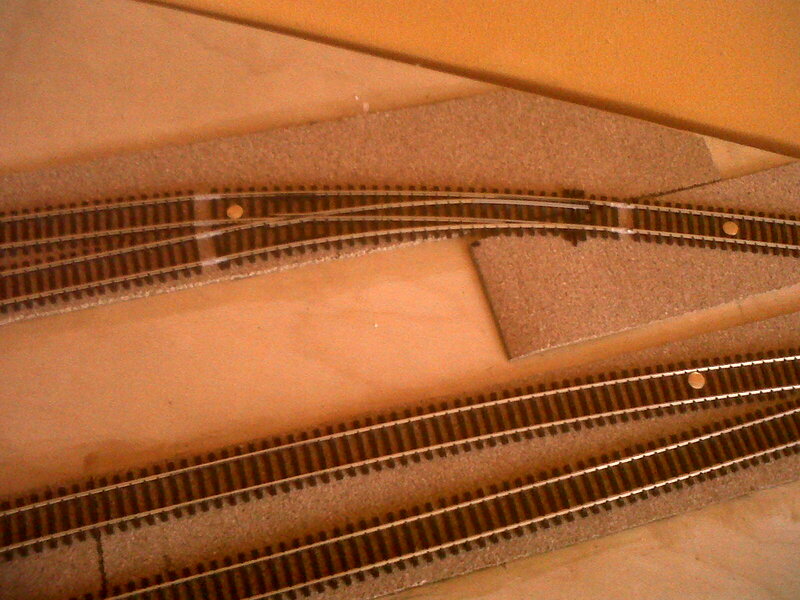 So, this morning I swapped yesterday's straight points for a curved version. There has been a lot of live archive footage on TV recently of the Doors. What amazes me about this is the scale of the music. 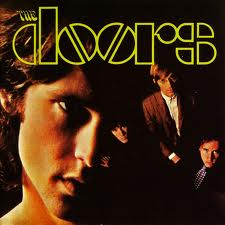 An electric organ, electric guitar, set of drums and Jim Morrison on vocals - no bass guitar or backing vocals. Obviously, way back in the late 60s and early 70s there was a tendency for rock groups to indulge in unnecessarily long guitar solos - confusing length with grandeur. But in the case of the Doors, this criticism is not applicable. The way they spun out their hit single Light My Fire to 10 minutes was fully justified. These are the adjectives I would use to describe the performance: virtuosic (Ray Manzarek on organ); epic; drug-fuelled (Jim Morrison - in fact in his case, probably drink-fuelled); genuine and mesmeric. 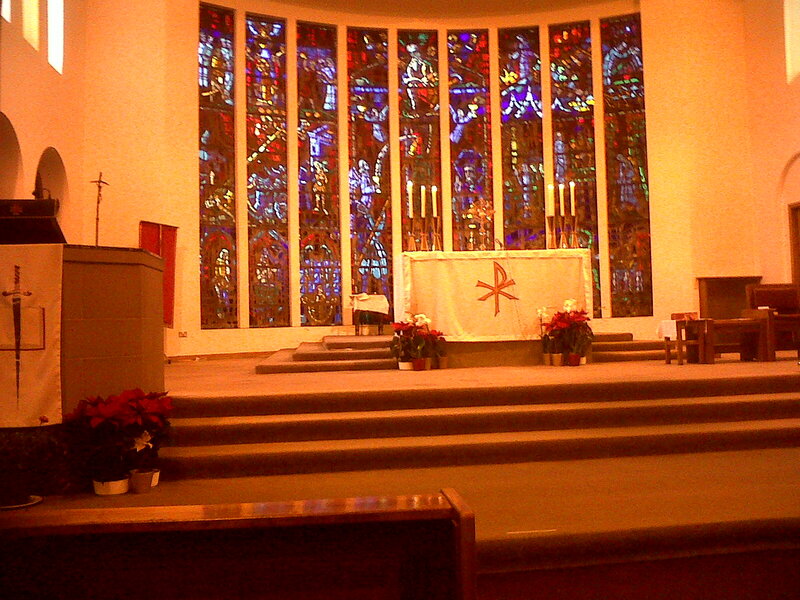 It occurred to me in Church this morning that stain glass windows serve a similar purpose to icons in that one can just stare at them and feel spiritually enriched. 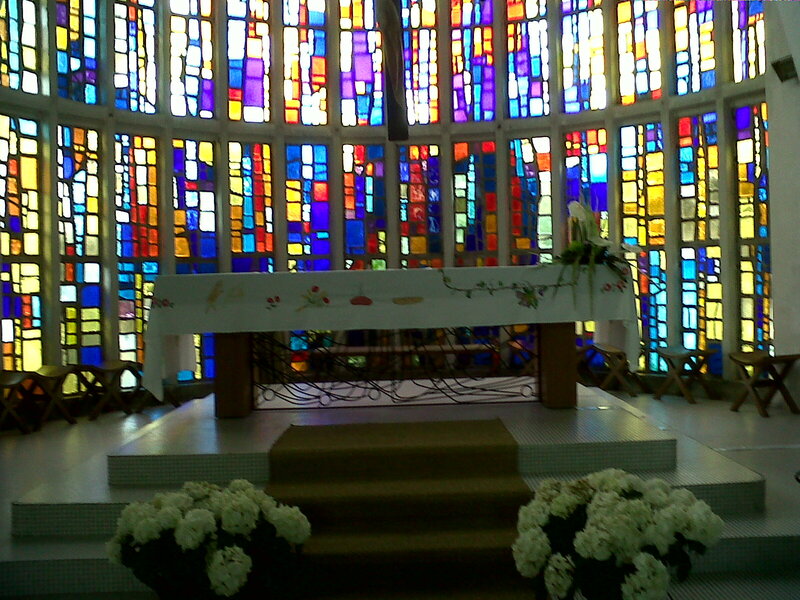 This was my view this morning in St Paul's in Whiteinch, Glasgow. 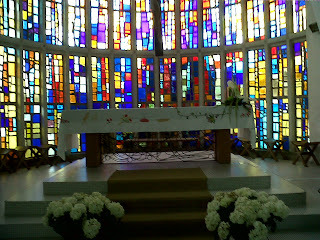 And here is a similar window from a church on the island of Oleron, France.